It’s not surprising that the most common injuries among divers are related to buoyancy issues—barotrauma, uncontrolled ascents, marine life injuries and more could be prevented with some practice and attention to detail. The amount of weight you select should allow you to descend, not make you sink. Predive buoyancy tests are a crucial tool in determining proper weighting. Contact your local PADI Dive Shop to take the PADI Peak Performance Buoyancy specialty course where you’ll learn important skills that will make you a better, more advanced scuba diver. 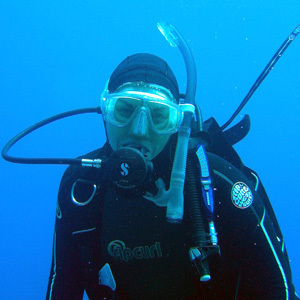 How to trim your scuba gear so you can find balance while diving. How to determine the exact weight so you’re never too light or heavy in the water. Techniques to save air, glide more smoothly, and hover in vertical and horizontal positions.